I don’t think of heaven as a place far away, with harp playing angles on fluffy white clouds. Nope. Heaven to me is another dimension, just out of sight, a hairsbreadth away and occasionally, it breaks through: through us, through nature, through worship, and through hard places where people feel in desperate need. These places are called call THIN places. Places where the presence of heaven is THICK; where you can feel God. I often feel it in old churches and retreat centers where decades of prayer has saturated the walls with peace. But, those aren’t the only places. The first time I noticed such a place, outside of church, was at a Narcotics Anonymous (NA) meeting I was asked to attend for a class. I shouldn’t have been surprised that God was so THICK in that room Jesus was always present to the desperate. He always answered the requests of those who knew their need. I had the urge to take off my shoes in that NA meeting. It felt like holy ground. 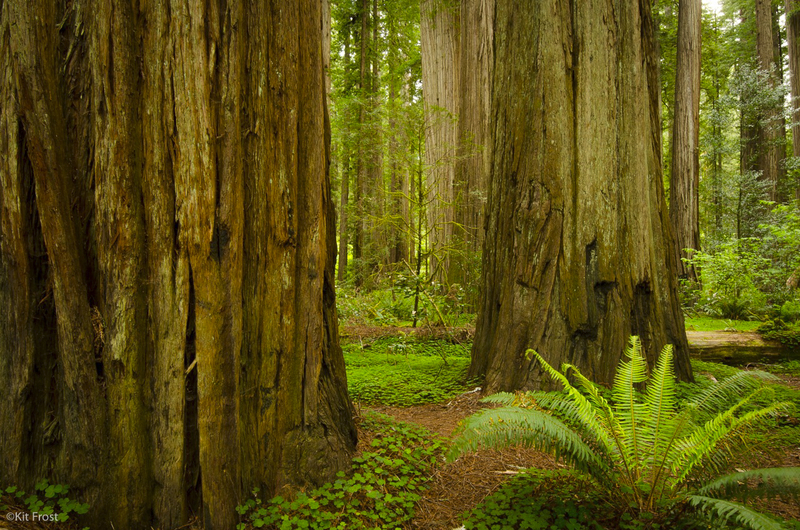 I had the same urge standing in the old growth redwoods near Santa Cruz. It was unearthly quiet under those giant sentinels. The years-deep pine needle carpet make it a hushed place. My neck ached as I tried to see the top of the trees that were growing before heaven came to earth that first time. It was like standing in a cathedral…holy. My feet wanted out of my shoes. Lately, I’ve found thin places while sitting with my friends from the LGBTQ community. I find them when I hear of their faith despite fifty years of being told that God couldn’t love them. I hear of their self-hatred, and trying desperately to pray away their very selves, until they realized that kind of praying didn’t work. When these friends trust me enough to be honest about how hard it is to trust me, it feels THICK. It’s a THIN place. My toes long for freedom. I see thin places when I sit with parents whose children have told them, through their tears, how they have denied their true identities to the point of longing for death. I have seen the hearts of broken parents, not knowing what to do, but desperately wanting to do right by their children. We hold hands and cry over churches that won’t let their kids in; or parents who are pastors and choosing to stand with their gay children means possibly losing their job. It feels THIN. It feels THICK. God is very real in those conversations. So if you see me sitting in a Starbucks, barefoot and handing a Kleenex to a friend, pray for me: Pray I will listen well. That I will love well. That I will hold the space for God to be with us. Because he wants to heal the desperately hurting. He always has. He always will. Where have you felt the THIN places of God? This beautiful Jacci. Thank you. Blessings on you. Near my bedside, when I can’t go anywhere, just two days ago. It is just as you beautifully write. Such a thin partition, and yes, heaven a dimension. My soul sensed angels singing not long ago too…. while lying in bed. It was awesome. Loved this blog. Pray you will listen well, be trusted. Keep holding up your light for the church! Thank you D! I’m glad God meets us where we’re at! For you, often that is at your bedside. Awesome.